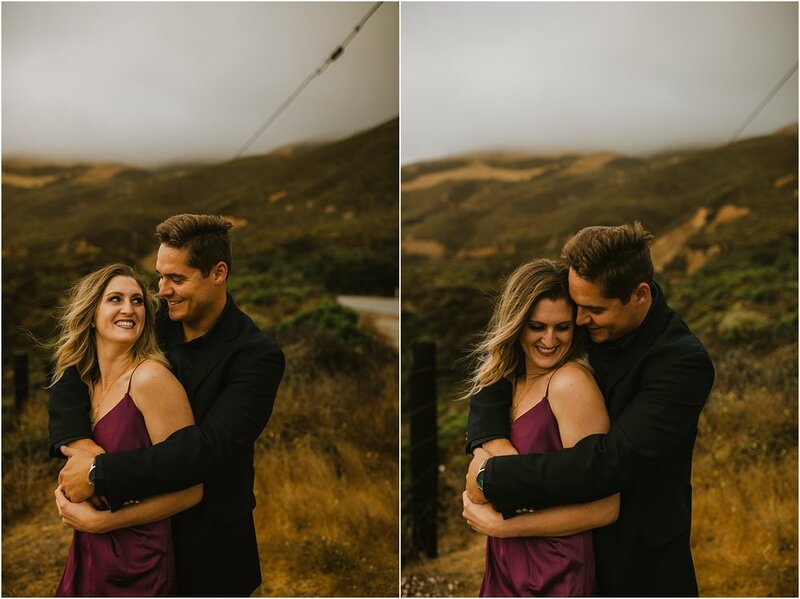 We absolutely loved meeting up with Rachel & Ryan while we were in Big Sur just a couple of weeks ago. We met in Carmel and drove down highway 1 to try to get to one of our favorite spots, Pfeiffer Beach. Unfortunately, the park was closed due to road construction. So, we turned around and started to head back with the intentions of stopping wherever my eyes led us! I’d say we got incredibly lucky! Foggy, misty, rainy weather is my absolute favorite! The sky and mountain fog was unbelievable as we captured these gorgeous anniversary photos of Rachel & Ryan.